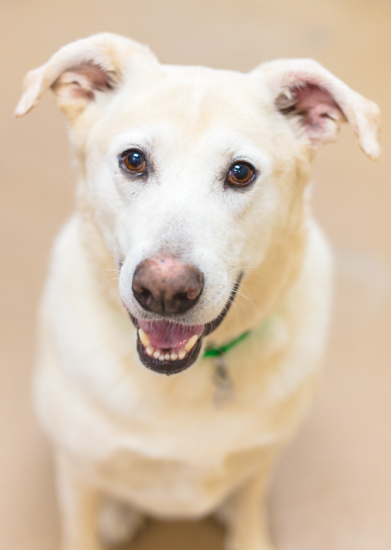 Charlie is a 6 year old, neutered male, Labrador /Shepherd that weighs 109lbs. Charlie is a spunky guy who loves to have fun and to be the center of attention. He will appreciate a home where he gets daily exercise and training. According to a previous owner, Charlie is not a huge fan of men. During his time at the shelter, Charlie has been very friendly to everyone. We are asking that he meets all kids prior to adoption just to be safe. When introduced to another dog his size Charlie did not like when they got in his face. It was noted that he chases small dogs and cats. He will need a home without dogs under 30 lbs.and must meet all larger dogs. We ask that he goes to a cat-free home. Please ask our staff about his special medical needs.